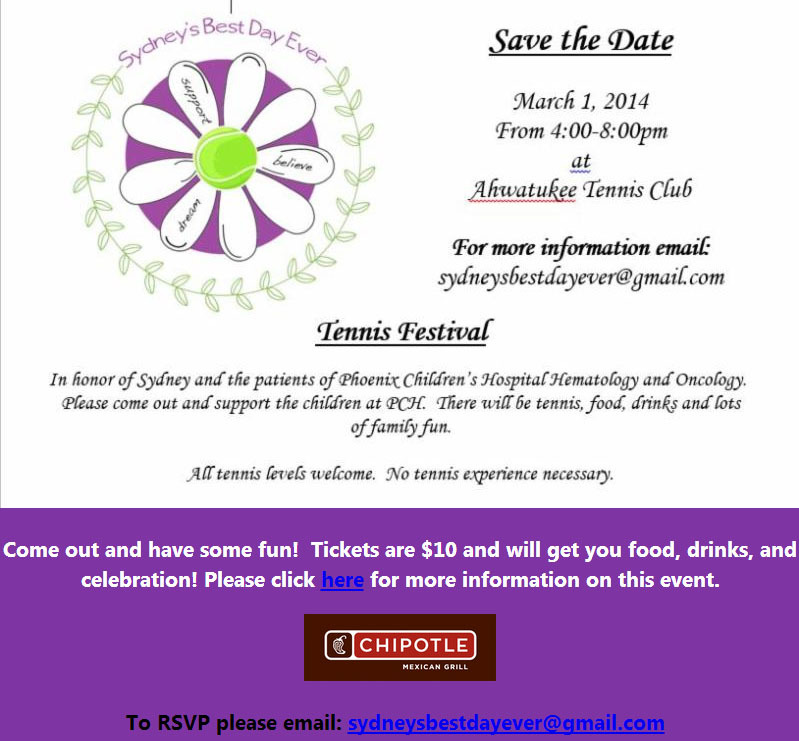 On Saturday March 1 a benefit tennis festival in Ahwatukee, Ariz. - Sydney's Best Day Ever Benefit - will benefit the children of the Hematology and Oncology Department at Phoenix Children's Hospital. 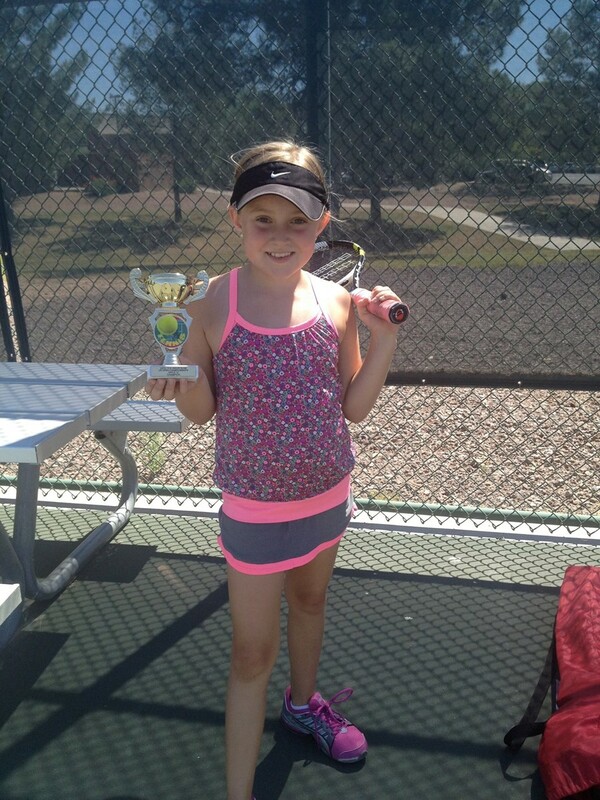 The tennis festival is being held for a Phoenix-area nine-year-old junior player named Sydney Schnell, who has a rare blood disorder called ALPS (Autoimmune Lymphoproliferative Syndrome), which severely affects her energy levels and has affected her lung fuctioning. Schnell has to do intravenous infusions frequently at Phoenix Children's Hospital to keep her energy levels up, but tennis has been a huge spirit-litter for Sydney, and the family wanted to do something for children like Syndey and for Phoenix Children's Hospital for all they've done for her. The family approached the local USTA Central Arizona office here in Phoenix and together Sydney's Best Day Ever Benefit Tournament was formed. The tennis festival will be held at Ahwatukee Tennis Center on Saturday, March 1 from 4-8 p.m. for all levels and the cost is $10 to participate. All proceeds will go to Phoenix Children's Hospital. Tennis, food, drinks and lots of family fun will be had at Sydney's event. Food will generously be provided by CHIPOTLE. No tennis experience necessary to participate at Sydney's event, and the day's activity will be played on 36' and 60' courts. If you're interested in participating or sponsoring, please email sydneysbestdayever@gmail.com. WHEN: Saturday, March 1 from 4 - 8 pm. Contact: Lori at sydneysbestdayever@gmail.com to RSVP or to sponsor/donate.